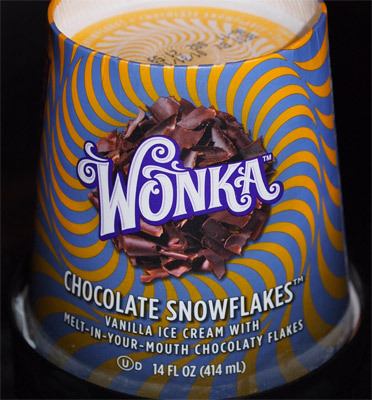 [New for 2012, retired April 2013] Ok, I forgot to have some Wonka mowing fuel this week (I was too busy inhaling Milky Way ice cream bars), but last week I finally dug into those supposed "melt in your mouth" flakes. And enjoy some chocolate snowflakes. Ok, that's a good start! I dig in and there certainly are a lot of flakes. This one is very much like chipperberry swirl, sans the raspberry. Wow, this one is really easy eating. I'm blowing through this pint without even trying.... but do I love it? I'm not sure. I feel like something is lacking. Maybe a stronger vanilla tasty or maybe I want the taste to be a little more milky. I don't know, I really don't. It's just another one of those flavors where you'll down it (like I was) and/or you'll go "yeah this is nice, but it's not perfect". I definitely think "melt-in-your-mouth" is an overstatement. When you see such a bold statement on a pint, you're going to grab a scoopful and sit there and wait for it to melt, but it won't. It's just not that kind of melt. Oh, sure, they are neat little chips, it's cool and all, I just don't want you to focus on the melting part. Focus on the snowflake part more, because now that I think about it, all those little bits do kind of giving you that gritty snow texture (not in a bad). Ok, sorry for the vagueness. It's a fine flavor. Not perfect, it could use a smidge of pop, but I'm still glad I tried it. I know this is off target, but I had the turkey hill phillys grand slam the other day. 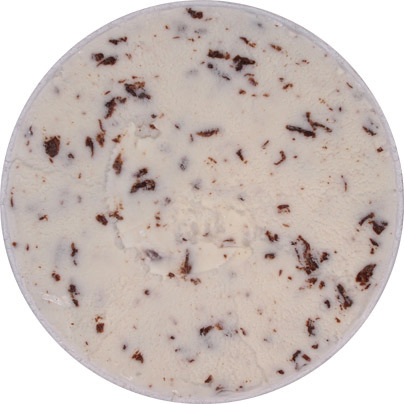 The grahm cracker ice cream was excellent and so was the grahm cracker swirl. The chocolate marshmallow cups only brought some crunch. They didn't have to much flavor. Over all the ice cream was excellent , it tasted exactly like grahm crackers. 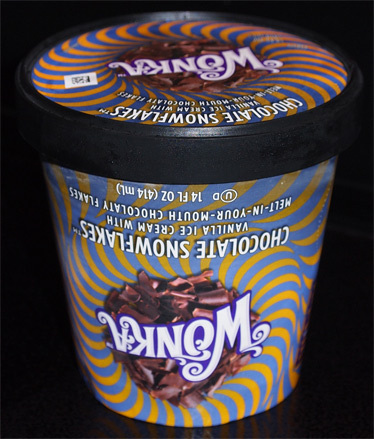 Interesting to see that wonka have expanded into the ice cream market now! Sounds like a safe yet tasty flavour. Would be interested to see what other flavours they have out there. I'm intrigued by the container alone! Sorry nick, but it's that darn good!